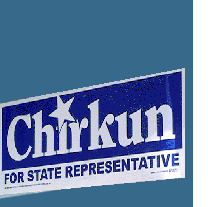 My name is John Chirkun, a proud Democrat running for State Representative in Michigan’s 22nd District. Michigan’s 22nd District, which encompasses the City of Roseville and a large portion of the City of Warren, is currently represented by my good friend, and term-limited Democrat, Harold Haugh. As State Representative, I will be a trustworthy advocate for Michigan’s working families and middle class. These are challenging times for all of us, and moving Michigan forward will require positive and effective leadership from lawmakers in Lansing. This means doing what is right for everyone, and putting the needs of Michigan’s residents ahead of pure political agendas. Since first being elected to the Roseville City Council in 1995, and during my time as Mayor, my priority has been building a financially-secure and economically-vibrant City. We have met our objectives through teamwork — bringing unions, businesses and residents together around shared, common goals. It has not been easy, but the end result proves it is well worth our time and effort. I enjoy public service, and using the influence of sound public policies to make people’s lives better. In addition, to my years of experience in local government, I proudly served in the Wayne County Sheriff’s Department for 29 years, and was elected Vice President of SEIU Local 502 during the time they represented the deputies. This extensive background in labor and local government has provided me with the leadership skills and experience necessary to make the right decisions that benefit our community. The current agenda in Lansing is doing a disservice to a large majority of Michigan residents. Increasing taxes on middle class families, taxing retirement income, cutting funding for our public schools, neglecting our transportation infrastructure, attacking the rights of working men and women, and stripping much needed funding from cities and townships is the wrong way to govern. We can and must do better. As State Representative, I pledge to do everything I can to turn Michigan around. Decisions made by elected officials will have a lasting impact on our state’s residents for decades to come. This is why it is essential to have elected officials who truly understand the needs of working families, are committed to improving public education and who recognize that local governments need proper funding to provide essential services such as public safety. Simply put, we need to invest in our communities and citizens. I will fight for you in Lansing! I hope to earn your support in my run in the 22nd State House District. Together, we can move Michigan forward with a positive vision built on common-sense leadership for working families. If you have any questions, or would like to discuss my vision in greater detail, feel free to contact me anytime.